A dark spiced Caribbean rum. 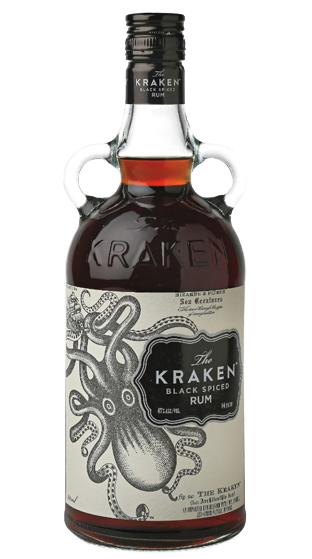 The base rum used in Kraken is from Trinidad and Tobago, distilled from molasses made from local sugar cane. The rum is aged 12 - 24 months and then we add a mixture of spices including cinnamon, ginger and clove. All added ingredients are natural, and the Kraken is gluten-free and vegan.